Introduce us to your younger self. 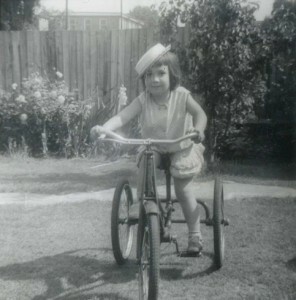 I was brought up in Merton Park, close to Wimbledon. Despite this, I have never been to the tennis, but I did see the Wombles once. They were surprisingly tall and had deep voices. My family has a history of artistic tendencies. My paternal grandfather was a commercial artist and my maternal grandfather was a musician and composer, whose children all found work in the profession. My uncles, both flautists, played on Fool on the Hill, while my mother’s various claims to fame include being an expert on Tudor music and performing on the infamous Finger of Fudge advert. As children, we were all encouraged to attend music and ballet lessons, pushed onto the stage and into compulsive exam-taking. My experiences left me with a hatred of classical music, terrible stage fright and panic on entering exam rooms. During my formative years, I won a Blue Peter badge for naming Goldie the Labrador; had two pieces of work displayed in the Vision On gallery; won a silver shield for playing ‘The Entertainer’ on the descant recorder in the Kingston Music Festival. I also once played James Galway’s gold flute. None of this mattered. Much to my shame, I failed the interview to appear on Crackerjack for not knowing the names of all of the Beatles. Being part of a large family has both advantages and disadvantages. Never having your parents’ undivided attention fell into both categories. Rarely finding a place in which it was possible to be quiet was difficult for me. I found solace in reading, which remains one of the only legitimate excuses to be unsociable. I left school at the age of sixteen armed with an R.E. ‘O’ level and a life-saving certificate. Ignoring only careers’ advice available to convent school girls (that all smart girls should aspire to becoming nurses or schoolteachers) I chose insurance. Or rather, that was what the job centre had on offer, and it was only a twenty-minute walk from home. After suffering from depression throughout my teenage years and my 20s, I developed a keen interest in psychology. The middle child of five, I am particularly interested in the influence that position in the family has in determining personality. Apart from having been given a Catholic upbringing (which Hilary Mantel claims is essential for all writers) I am quite unqualified. If this disappoints you, then I apologise. However, if you have that gnawing feeling that there’s a book inside you trying to get out, I’m here to tell you that, unfettered access to a computer aside, the only other thing you need is a little spare time. You may have to wave goodbye to your social life. (As my partner constantly reminds me: if it was easy, everyone would be doing it.) Alison Bavistock describes writing as lonely, isolating and fattening. It is also extremely liberating and theraputic. I assure you: it will be worth it. I watched a programme in which Rick Stein described how he came to become a chef as a food enthusiast. I came to writing as an enthusiastic reader and a lover of words. From the days when I was glued to Jackanory as a child, to my love of Tom Wait’s song-writing, I have always admired great storytellers. There were several reasons why I started to write. The first was that, although I had been an artistic child, my work provided no creative outlet. In my working life I had regularly written articles for the insurance press. Occasionally, they were published under my own name. Secondly, it was a question of timing rather than one of time. I spent many years with ample time on my hands, but I didn’t start to write until I was in a relationship with someone who gave me confidence to be myself, because, without that confidence, it isn’t possible to find your voice. Finally, something happened in my life that I needed to make sense of. I used writing to explore how I felt about it. I wrote as a hobby for a number of years while clawing my way up the career-ladder, but it increased in importance to me, gradually taking over. I began writing my first novel (unpublished) at the age of thirty-five. Too personal to ever see the light of day, it took four years to complete. My second novel took only a year to write. I have found that I do my best writing when I am busiest. I become very disciplined – and far more selfish with my time. Often, when writing Half-truths and White Lies, I came home from work worn out and sat down at my computer without a clue what I was going to type, but I got the story down on paper and worried about tidying it up later. I was confident in my characters. For the most part they wrote themselves with minimal encouragement. What were the greatest challenges that you faced as an unpublished author? For me, the greatest leap of faith was the decision to let other people read what I had written. You reveal so much about yourself through your writing, and I value my privacy. Frankly, even if you don’t use personal experiences, assumptions are made. If your novel is based partly in truth, people assume that every detail is true. It is very difficult to be subjective about whether what you have written is any good. I am fortunate in having a group of friends who were prepared to be critical and would not dream of flattering me for the sake of it. Based on their feedback and, armed with a copy of the Writers’ and Artists‘ Yearbook, I started to submit my work to potential agents. Replies, when they came, were refusals carrying the same message: we are not taking on any new clients at the moment. But two replies arrived with handwritten notes. They both said, ’You can write, but your work is completely unmarketable’. One recommended using The Literary Consultancy for a professional review. Encouraged, I was intrigued enough to invest. Six weeks later I received a twelve-page response. TLC suggested that I should turn my quirky coming-of-age story into a crime novel. Horrified, I put the manuscript away for six months but I couldn’t forget about it. Bored one day, I wondered, why shouldn’t I play around with it? I finished a second draft and resubmitted it. Two agents replied immediately and said that they wanted to read the full manuscript. I signed with one of them. I think that the greatest challenge is still getting your work read by professionals. Prospective agents will ask for the first three chapters. That said, they often get no further than page one. Even after I signed with an agent, I struggled. At the point when I entered the Daily Mail competition, my second manuscript had been sitting in my agent’s in-tray for several months and she hadn’t found time to read it. The competition provided such a wonderful opportunity, as the organisers guaranteed to read each entry in its entirety. You’ve mentioned the Daily Mail First Novel award. What was your reaction when you found out you had won? To be honest, I was completely gob-smacked. I knew that my novel had been short-listed, which was more than I had hoped for. My real incentive for entering wasn’t the thought of winning; it was to discover if I was a contender. The timing of the announcement was absolutely perfect. I left the job I had been in for twenty-three years in September. Three weeks later the honeymoon period was well and truly over. Every time I turned on the television there was talk of financial doom and gloom. I began to worry that leaving a secure job at the onset of a recession had been a terrible mistake. I got the call from Transworld when I was at home on my own and, because I was alone, I wasn’t quite sure how to react. I had no one to ask, ‘Hey, did that just happen?’ I had to put down the phone, pinch myself and call them back. The weeks that followed were heady. It was a thrill to see my name in print in the Daily Mail and The Bookseller, who kindly included me in their ‘One to Watch’ section. Joanne Harris, an author I greatly admire, provided a quote for the cover. I was described as a promising new writer. I was going to be the Next Big Thing. 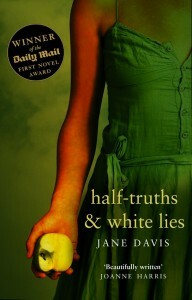 In a year when book sales really started to nose-dive, Half-truths and White Lies sold reasonably well. Told that my publicity would be taken care of, I did what I had always done. I wrote. My big reality check came in late 2009. Transworld turned down my next novel (an early draft of what has since become A Funeral for an Owl.) 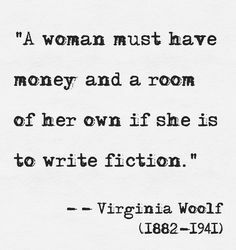 It was beautifully written, they wrote, but it was not women’s fiction. It was too late to argue that I had never set out to write purely for women. I hadn’t realised the implications of being published under the Black Swan label. I had been pigeon-holed – and my work didn’t fit. I continued to write. I continued to submit my work to agents. Over the next four years, I produced two further books, books I am particularly proud of. Had I been under contract, I would have been up against deadlines, but I was not. I had the luxury of time to add layers to the plot, depth to my characters and a sense of time and place. I Stopped Time was a tribute to my grandmother who lived to the age of ninety-nine. It is also an homage to the pioneers and heroes of photography. These Fragile Things was an important book for me to write. Though I’m not religious, it is my reaction to aggressive atheism, which I feel is another way of stifling personal freedom. By 2012, I was touting three novels around the market. Believe me, this is not a position you want to be in. There is only a finite number of agents and they talk to one another. My rejection letters were more flattering. Now they read, ‘It’s not for us, but with your credentials we feel sure that you will be snapped up very quickly.’ Some went further and suggested changes. I began to feel like the lady character in Michael Chabon’s Wonder Boys who comes back to a writing conference held on a university campus year after year with a slightly different version of the same novel. A novel which continues to be rejected, albeit for slightly different reasons. That same year, I attended two conferences. The first was given by Writers’ Workshop who offered the opportunity to submit work in advance to be critiqued and discussed on the day. There was also the opportunity to pitch your work ‘live’ in front of a panel of agents and an audience. On the face of it, the critique seemed to be the less harsh of the two options, but people came out of the room ashen-faced and red-eyed. Their manuscripts were covered in red ink. I offered a shoulder to cry on while I waited my turn. When at last I took my place at the table there were no red marks on my copy. I had submitted These Fragile Things, probably my least commercial work to date. “You didn’t like it,” I said. “No,” I was told. “I didn’t like it. I loved it.” I burst into tears on the poor woman, but for all the right reasons. The advice I was given was not to change a single word of the manuscript, but I was told that my enquiry letter and my synopsis were too long. My presentation skills needed work. So, having been complimented on my writing, I was ready to pitch to the panel. The only problem was that the agents on the panel didn’t want to hear my fantastic first chapter. They wanted me to read my enquiry letter. The letter I had just been told sucked. Despite this, I came away from the event having been told that I had passion and commitment, with five agents offering to read every word I had written. They all rejected me. In November 2012, I decided that I owed it to myself to explore something that I had resisted very strongly: self-publishing. I went to the Writers’ and Artists Self-Publishing in a Digital Age Conference – and it was a revelation. Here were authors who had enjoyed considerable success, but had been dropped by their publishers after their latest releases didn’t sell quite so well. They were rubbing shoulders with first-time authors who had decided to bypass the traditional route, had put their debut novels out there for 99p, and who had sold 100,000 copies in the space of a year. There were also authors who, after years of trying, had taken the plunge. It was a publishing revolution. Was I in or was I out? I decided I was in. 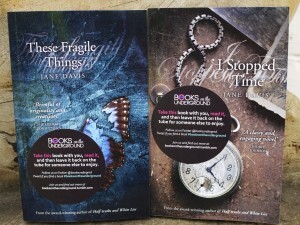 On Christmas Day 2012, I published I Stopped Time and These Fragile Things as e-books. I made the decision how to present my work. I had designed the covers, the interiors. The mistakes too were all mine. Neil Gaiman refers to Gaiman’s Law: if there’s one typo, it will be on the page that your new book falls open to the first time you pick it up. There was more than one. I ironed them out and, in the summer, I released paperbacks. In November that same year, I published A Funeral for an Owl. I did things differently the second time around. Less afraid to admit I needed more help, I used a copy editor and an army of proof-readers. For my next release (my fifth), I am using even more paid services. Would you still recommend that first-time authors find an agent? There’s no option if you want to go down the route of looking for a traditional deal. So if you are looking for an agent, treat any submission as you would a job application. Don’t write a standard letter and cross your fingers in the hope that it will be well-received. Do your research. Think about who your work will appeal to. Know who to compare your work to. Select agents who say they are interested in that genre of fiction. Each agent likes to be approached differently. Follow instructions meticulously. Be prepared for the knock-backs – because you are going to get them. As Debi Alper advised me, you will need to develop the skin of a rhino. Listen to the advice that is offered. You may be at the top of your current profession but the chances are that, like me, you know very little about the world of publishing. If several agents take the time to write to you and express the opinion that your work is unmarketable, the chances are that they are not all wrong. 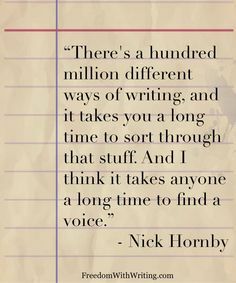 Remember, this isn’t necessarily a reflection on your writing or your story-telling ability. It means that times are tougher than ever and that they don’t think they can sell your book. You need someone who shares your vision. If you find that you are a square peg in a round hole, my advice is that you shouldn’t be afraid of self-publishing. It is not a lesser option. It doesn’t mean that you don’t take your writing seriously. The percentage of books that are self-published is increasing and will increase further. This route will mean investing your own money with no guarantee of a return, but it is a good discipline to view your work as a business proposition. And, like me, you may find that you can barter for services. Start to build your on-line author platform as early as you can. Setting up a basic website is cheap and easy, but if you aren’t sure if you have time to maintain a website, utilise Facebook and Twitter to full advantage. Be active on Goodreads and other reading forums. Perhaps you’re a visual person, and you’ll be inspired by images you find on Pinterest. Find what works for you. Social media has enabled me to access reader and author communities I couldn’t possibly have accessed in person. When I was traditionally published, even with the services of an agent, I felt very much alone in an industry I didn’t understand. Last November I walked into the London Author Fair and found I knew dozens of authors – people I had interviewed or reached out to on the internet, or who had reached out to me. What advice would you give to anyone who is thinking about becoming a writer? I still hope that my bitter-sweet journey offers inspiration. I don’t have a degree. I just had a bit of spare time on my hands, a laptop, and enough will power to stick at it. The thing is to get started. A novel starts with one small idea. You do not have to work out what is going to happen at the end before you begin. Get the characters right and the rest will follow. Write for yourself; edit for your readers. I use writing to explore ideas and opposing viewpoints. I try to anchor the story firmly in its setting with the use of music and television programmes, news items and fashions. You can tap into nostalgia to broaden the appeal of a book. The filmmaker, Peter Jackson, places a great deal of importance on tiny details in costume design and builds intricate pieces of sets that will only appear fleetingly on the screen. I try to take the same approach to writing. Read as much as you can. Be critical, but don’t let it destroy your love of reading. Keep an eye on what is selling. Unless you have written something brilliant and original enough to start a new trend, your work will need to sit neatly with what else is out there. If you are writing for publication, learn as much as you can about the industry. Budget to go to a couple of conferences a year. Winchester Writers’ Conference, Writers’ and Artists Yearbook and Writers’ Workshop hold annual events. In 2014, Authoright launched the London Author Fair. Things are changing very rapidly and, unless you stay on top of developments, you will be left behind. And lastly, don’t do what I did and give up the day job. Where is home and how does your environment influence your writing? My partner of fourteen years and I live in a part of Surrey that claims to be a London Borough, in a ridiculously impractical timber-framed house. (If we ever move, it will be because we have run out of space for our CD collection.) When we came to view the house, the vendor told us that the house ‘spoke to her’. And it does. It’s difficult to say how living here influences my writing because I’ve never tried to write anywhere else. My surroundings definitely have an influence. ‘A Funeral for an Owl’, is set in the Carshalton area. I visit most of its locations on my lunch-time walk. One of the settings for ‘I Stopped Time’ is the village of Shere, the starting point for one of my favourite walks in the Surrey hills. Do you suffer from writers’ block and, if so, is there a cure? What do you think makes a great novel? A great novel has to transport you somewhere else. There have to be a few deeply flawed but sympathetically written characters. The speech and descriptions need to sound authentic. There must be a love interest, even if the love is unrequited. And there needs to be a tragedy. I like authors who write about complex subject matter in simple language. I don’t want to have to interrupt my reading to look up words in a dictionary. What do you think the most important quality in a writer is? Empathy. A writer must empathise with his characters and understand how they would interact with each other. Apart from John Irving and Thomas Hardy, I love Louis de Berniers, Jennifer Egan, Maggie O’Farrell and E. Annie Proulx. 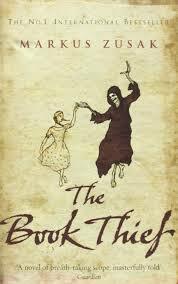 The Book Thief by Marcus Zuzak is the book that I recommend to people who tell me that they don’t enjoy fiction, because it is based in fact. The author tackles extremely sensitive subject-matter with originality and simplicity, which is perfection. I got to the very end before I learned that he is the author of several award-winning children’s books. It explained much about his writing style and his deep understanding of his main characters. I find myself coming back time and time again to Tess of the D’Urbervilles by Thomas Hardy. It stays relevant and contains the most perfectly flawed heroine; innocent, naïve, wronged. And, ultimately, deadly. I feel that I catch glimpses of the England that he describes when I am out walking in the mountains. The Prince of Tides by Pat Barker is a difficult, rich and rewarding read. Don’t be put off by the film which focused on everything that is romantic in the book, detouring neatly round the more shocking elements of the storyline, leaving very two-dimensional characters. My favourite author is John Irving and it would be difficult to include only one of his novels in a shortlist. I am torn between Cider House Rules and A Prayer for Owen Meany. Both are life-changing. I particularly love John Irving’s use of themes and challenging viewpoints. I have never been to New England, but I feel that I know the area well through his writing. E. Annie Proulx wrote the most extraordinary main character in Quoyle in The Shipping News but her use of language is so full of warmth and humour and sadness that we cannot help but love him. Travel has played a major part in my adult life, but my finances don’t allow it at the moment. I also have a keen love of the British countryside. This stems largely from a ten-year stint with the Boy Scouts, firstly as a cub leader and then, since knowing I shouldn’t swear resulted in compulsive outbursts, with the less shockable Ventures (who taught me a few new ones to add to my reportoire). I take regular walking, climbing and photography trips, and think of Ambleside in the Lake District as my second home.